Almost a year after it debuted in the market, the Jordan Jumpman H Series II is making noise once again after being released in a simple but attention-catching colorway. 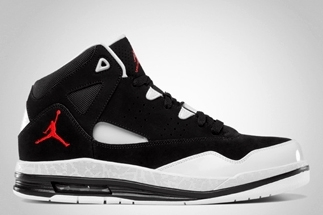 The Black/Varsity Red – White colorway of the Jordan Jumpman H Series II is now out in the market and has gain grounds since it was released. This new kick feature black suede leather upper and accented with elephant print striping on the midsole and a varsity red log on the side and tongue. This is arguably one of the best editions of this shoe so make sure that you won’t miss it!